Karas Pen Company: What Does Your Pen Say About You? In a fast paced world driven by technology meant to speed up every transaction, maximize efficiency or make communication instantaneous, some items just get lost in the daily grind. This is imminently true for 90 percent of every day writing instruments. This fact is so apparent that pen and pencil manufacturers no longer advertise their products. They also don’t feature people using their products in any of their product images. The pen, once a major component of everyday life in the world and one could postulate a driving force of the technological revolution, is perhaps the most disposable product that isn’t directly consumed in some way, shape or form. Think about it, when was the last time you thought of truly having ownership of a pen? 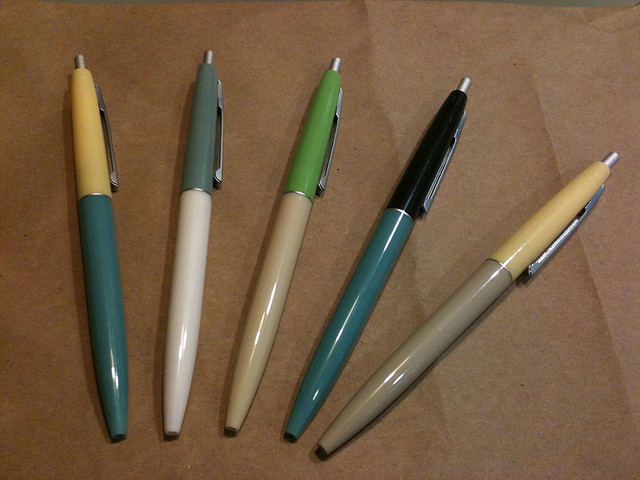 Pens are so commonly misplaced, stolen or thrown away that we no longer even view them as objects to be owned. There is no other “reusable”, everyday item that you will need to use on a daily basis that has less value than a pen. With all that said, there is a phrase that holds a lot of truth in regards to pens that in reality shouldn’t. That phrase is, “Not all pens are created equal”. You might be scratching your head right now, but give it a minute to sink in. Think back over the pens you have used in your job or at home or even on a trip to the bank. Chances are at some point in time, you have commented to yourself how nice a specific pen was and possibly slipped the pen into your pocket when no one was looking. Or at work you made sure to stockpile a specific pen because you liked the way the pen felt or wrote. Maybe the pen was quite fine and very dry and allowed you to take very small, precise notes. 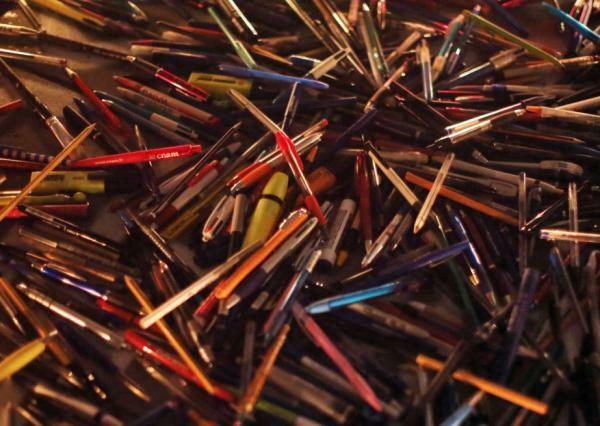 Perhaps the pen itself was offered in a color or even a color of ink that really spoke to you. Or any other number of reasons you specifically sought out a disposable pen. Why? Why would you react that way to an item that frequently is found at the bottom of trash cans, crushed on the side of the road or tossed across the room at people when there is down time in the office? What inside of us makes us react to how an item communicates to us and for us by applying ink to a piece of paper? Chances are it’s some primal instinct that has to do with cave paintings or perhaps slightly more refined with a stylus of reed being scraped across papyrus. Whatever the reason it’s one that’s felt by nearly anyone that uses a pen. Where it comes out on another level is with the pen aficionados, what I have dubbed Pen Nerds. Pen Nerds, you ask? Yup, they exist. 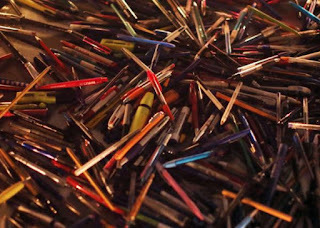 A very small slice of the population, especially in the United States is made up of people that are EXTREMELY picky about a writing instrument. They can rattle off a list of items that make a pen superior and an opposing list of items that make a pen impossible to use. They frequently spend more money on pens than most people spend on a dinner for two at a decent restaurant. They have to purchase special paper because their superior pens won’t write on inferior paper. And those people are merely “first line of defense” as it were, in the pen community (yeah there’s one of those two). At the pinnacle of the “Pen Nerd Pyramid” is a person that takes their pens so seriously they only use pens whose basic technology hasn’t changed in over 100 years. These are the Fountain Pen Geeks (there’s an online community with that very name). The ultra Pen Nerds. They are a sub-species that invest in pens over a hundred years old, pens that require the most delicate of touches to use, pens that have price tags above the average Americans monthly mortgage payment. These people truly take the phrase, “Not all pens are created equal” to a whole new level. Over the next several weeks, I will take you through some “hacks” with our Ink Fountain Pen that will address some of the proclivities of Fountain Pen Geeks. 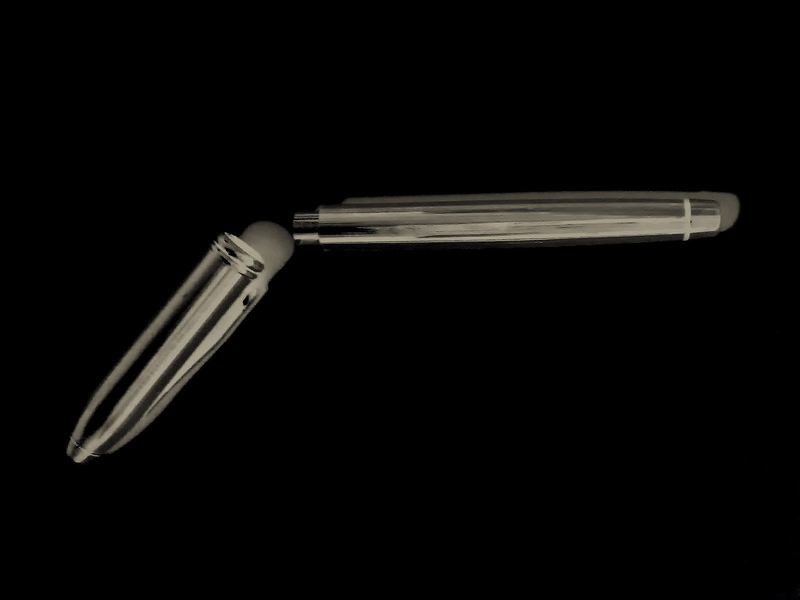 When Karas Kustoms first announced they were making a fountain pen the response was very positive. The same customers that were quite positive about their desire for us to manufacture a fountain pen, came back to us with a laundry list of things we should have thought of when we manufactured our pens. One major sticking point was nib size as well as material of nib. I won’t be able to specifically address nib size in terms of modern nibs, but how I address nib material via the use of vintage fountain pen nibs will have a side benefit of sometimes addressing the nib size issue. So brace yourself, we’re about to embark on a journey back to the early 19th century and go scrounging for parts. And with those parts we will fashion a pen that looks like The Ink from the outside, but when uncapped shines with a 14k nib. Our goal – Combine the quality and durability Karas Kustoms is known for with the vintage style and elegance early pen manufacturers put into their nibs into the Karas Kustoms Retro Ink.